Everyone is familiar with how to use a stapler, meaning they know the feeling of sore wrists and depleting energy after continuous use. With electric staplers, neither of those symptoms are a problem! They staple just as many sheets of paper than standard staplers, if not more, and do all the work so you don't have to! In the market for an electric stapler or have one sitting around, but not sure how to use it? Well, have no fear - here is how to use an electric stapler, step by step! 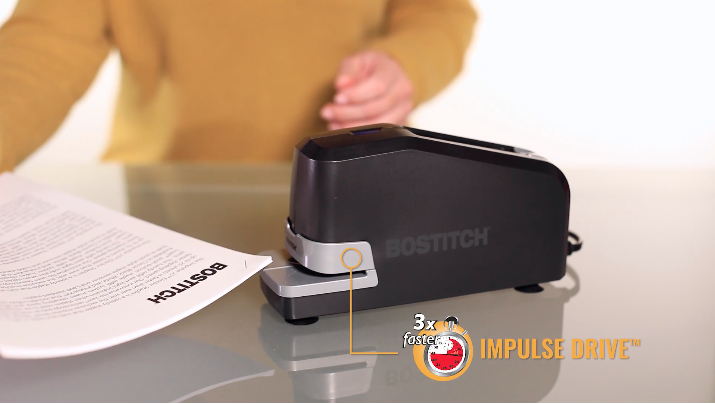 For this breakdown, we used the Bostitch Impulse 25™ Electric Stapler Value Kit, but any of our electric staplers are applicable to this guide! Step 1: After plugging in your electric stapler, push the button in the back to open the front-load magazine (see second image below.) Load the staples by dropping the strip in place to get your unit ready for stapling. The magazine also features storage for extra staple sticks. Step 2: Place your paper documents inside the front end of the stapler, just like you would with a manual stapler. 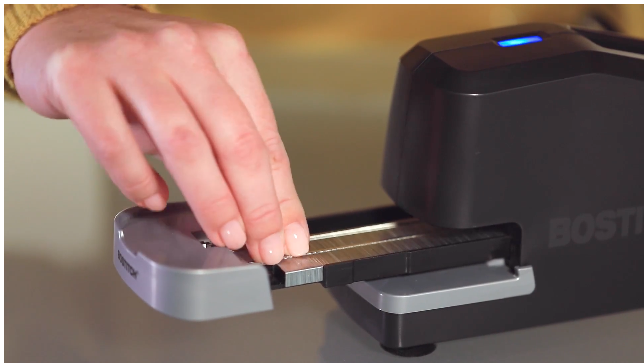 You can either staple your stacks at a 45º or 90º angle, depending on which you prefer. 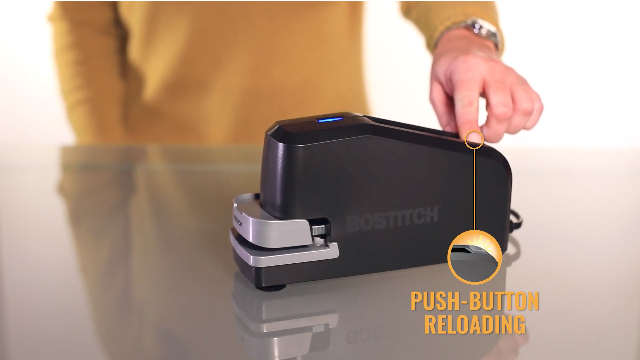 No other work is needed from you as the electric stapler automatically staples in just a fraction of a second. 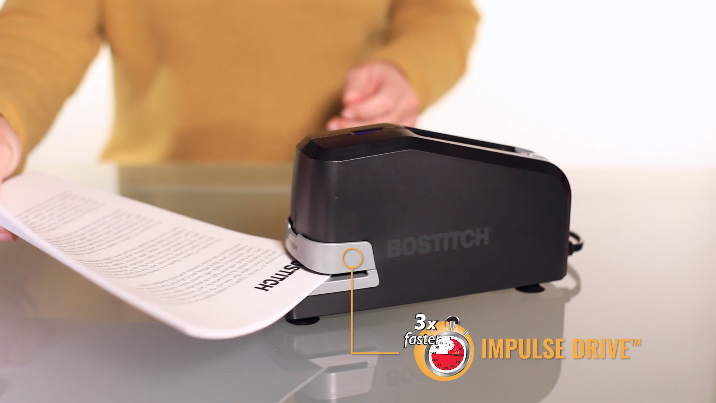 Thanks to the Impulse Drive™ design, it boasts a 3x faster stapling speed! Step 3: Simply remove your paper from between the stapler. Guess what? You're done, with no sweat broken! No over-worked hands or pained wrists here! A majority of our electric staplers feature No-Jam™ technology, a refill alert light and suction cup feet for convenience. 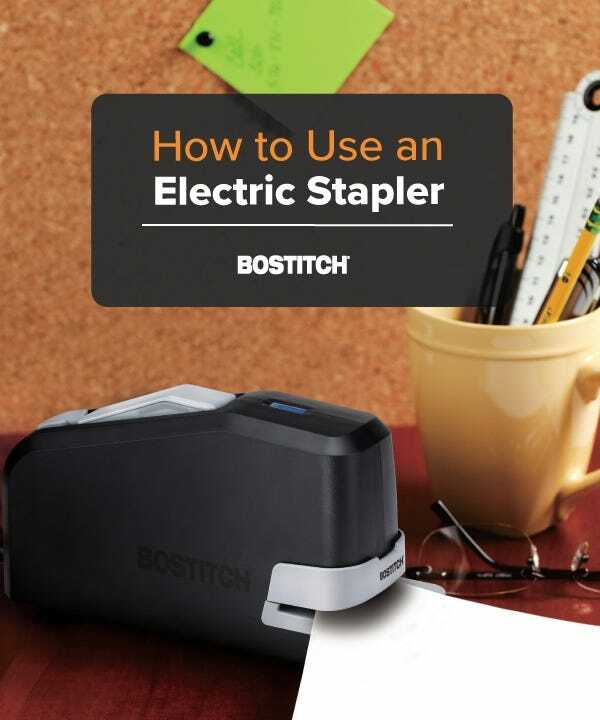 Want to see an active video demonstrating how to use an electric stapler, highlighted with neat benefits to make your busy work day a breeze? Check it out below! I purchased a Bostitchs a Stapler with the 45 sheets of paper capacity. It stapled twice and has not stapled since. Any suggestions as to what might be the problem?